When kids hit the age of about 5 or even earlier they start to become fascinated with dinosaurs. It’s a crazy concept that these massive creatures were walking the earth. 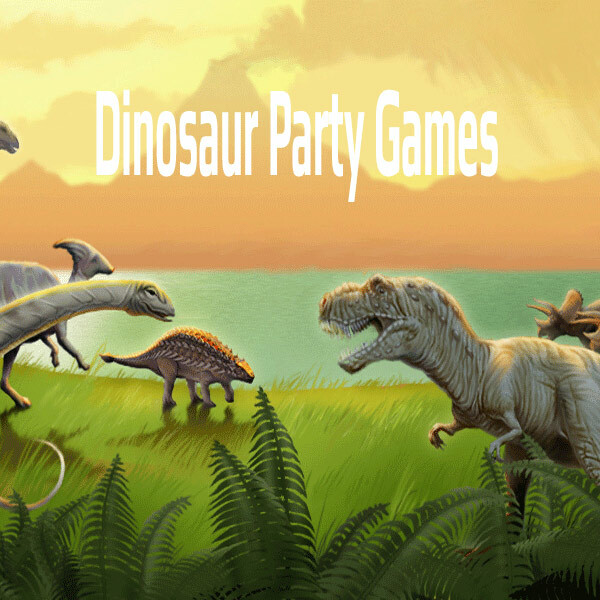 Dinosaur parties have always been popular with kids and now we have programmes such as Andy’s Dinosaur Adventures on CBeebies and the Jurassic Park franchise still going from strength to strength that keeps the dinosaur dream alive in new and exciting ways. 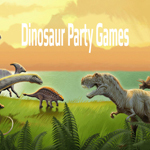 So when your child comes home and asks for a dinosaur party and if you decide to run the party yourself, it’s nice to be able to give them some dinosaur based activities and games that will keep them happy on the big day. Here are a few of my favourites. As the name suggests this is a variation on musical statues, however the children must do their best dinosaur stomps until the music stops. Kids love to be allowed to be noisy and roaring like a dinosaur is soooo fun! If your worried about the kids getting too rowdy then save this game until later in the party. 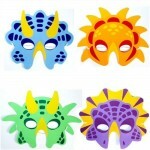 Pop a dinosaur mask on the first player and then get them to chase the other players. If someone is caught they also become a dinosaur. Play continues until everyone has become a dinosaur. 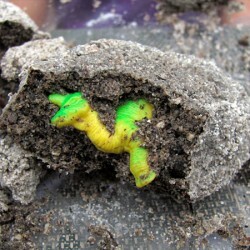 Whether you bury them in sand and dig them up like paleontologists or hide them around the garden, hunting for dinosaurs keeps kids amused for ages. 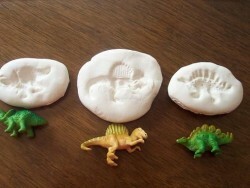 Use plasticine, Playdoe or modelling clay to make your own fossils. 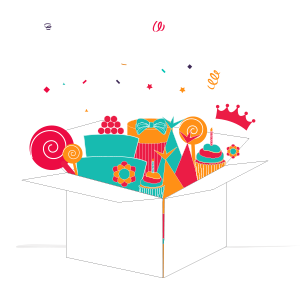 Press leaves, shells, toy dinosaurs, pasta and anything else you can find into it to create your very own take home gift. Simple crafts are great at parties for a little calm down time and a chance to have a good chat with your friends. We have everything you need to make a simple dinosaur door hanger. 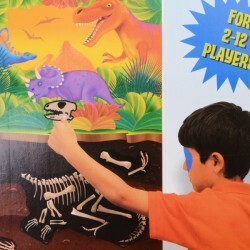 A classic twist on pin the tail on the donkey, this game uses stickers so no pins are required! 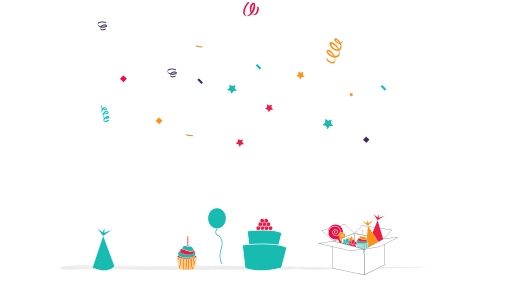 Of course we’d love to help you out with your party supplies too. 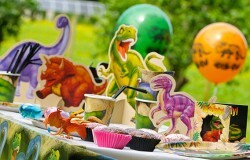 Just visit our dinosaur party page for a great selection of party kits and favours.